We know that many of you who are fans of this glorious tea have been waiting patiently to have a taste of the finished tea from this current year’s harvest. It has been fantastic that the 2017 tea has held so well and has been drinking perfectly; however, it is now time to move on to the even-more-delicious 2018 harvest. We are thrilled to offer this spring 2018 harvest of our best-selling and incredibly delicious High Himalaya Hand-Rolled Tips black tea from Jun Chiyabari Tea Garden in Nepal. The 2018 production of this tea was delayed slightly by the weather (as was quite a bit of the early plucking in Asia) and the result of this is that the teas in general and especially the tea produced from the earliest pluckings possible (which were 2-3 weeks later than ‘normal’) are incredibly deeply-flavored and concentrated. In many instances the early pluckings, in addition to retaining some of their traditional elusive and lighter characteristics, were also able to show that they would develop much of the heft and smoothness that are the hallmark of the later-harvested tea of most years. So while we often wait to purchase many of our Himalaya teas until the season has progressed a little, this spring we were quite impressed with the flavor and style profile of the teas that we were sampling from these chronologically later-than-usual harvests but ‘earlier-than-usual-for-us’ purchases. Therefore, what we also needed to pay close attention to was the phenomenon that we in the tea trade refer to as “resting“. This is the sum-total of the influence of the chemical changes that the components of the leaf undergo during the first several months following harvest, manufacture, and final drying. Similar to ‘ageing’ (but different than it), “resting” is a complex aspect of leaf tea awareness that is sometimes reliably predictable and other times wholly spontaneous and wildly variable. This year the prospect that the Himalaya teas would benefit from a ‘resting’ phase looked very good to our experienced eyes (and palates), so we pursued finding a quantity of outrageously-flavorful leaf which would ensure a quantity of superb tea for the tea-drinking period of 2018-2019. 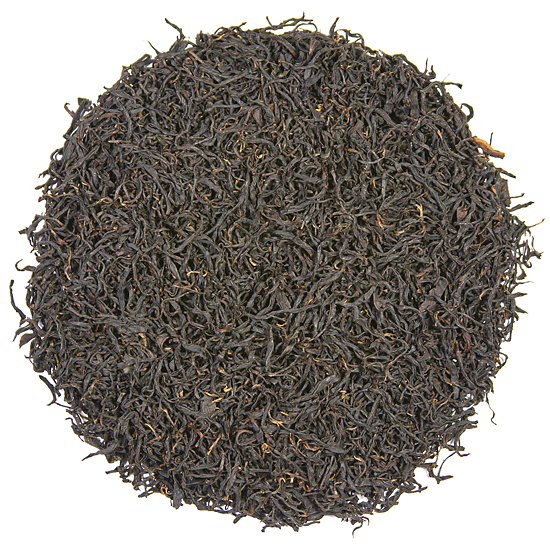 So this gorgeous Nepal black tea is from the Jun Chiyabari Tea Garden, a small & exclusive single estate located in the Himalaya hills of mid-eastern Nepal. Jun Chiyabari’s tea gardens are located at 6,000 to 6,500 feet in the ‘hills’ around Hile, a typical Himalaya hill-town, about 15 km west of Ilam (the major tea-producing region of eastern Nepal) not far from Sikkim and Darjeeling to the east, and Sagarmatha (Mt Everest) to the north. 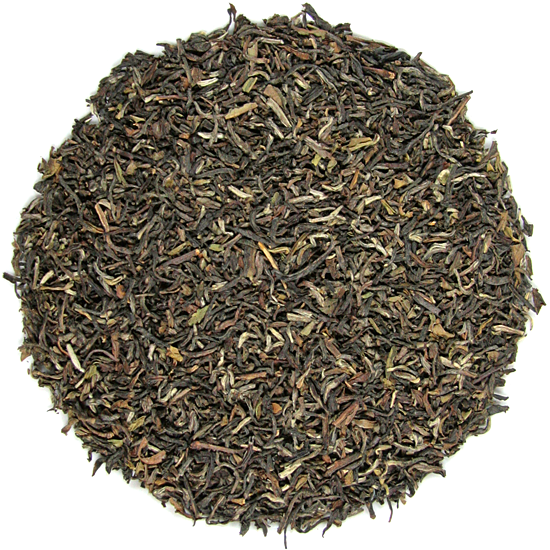 Tea Trekker’s Nepal High Himalaya Hand-Rolled Tips 2018 is a mid-to-late, Spring-plucked tea, which means this year it is from the early May seasonal harvest. In Nepal, Spring tea is some of the best black tea from the region – ever so slightly astringent but primarily sweet, brisk and full of flavor. The fresh leaf is large and juicy, and is perfect for hand-rolling the tea throughout the entirety of the tea’s processing. This year’s production has nuances of toasted brioche and brisk fruitiness in its aroma. 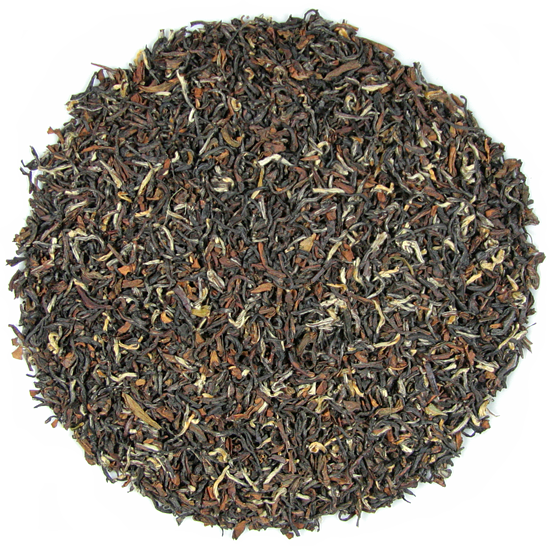 We found it to have as big an aroma as any of the Nepal black teas that we have sampled for some time. The flavor is appealing and broad – everything from a yeasty toasti-ness to a cherry-pip-clean brightness. The aroma is outstanding, and while not so noticeable in the dry leaf, once water is applied you won’t believe the aromatic quality that this tea offers. The golden color of the tea liquor is quite unique and shows how well-fired this leaf was during the finishing phase of manufacture. All-in-all, this is a very well-made tea that does not challenge the palate but leaves it completely satisfied with layers of flavor that linger well after the tea is all consumed. High Himalaya Hand-Rolled Tips 2018 Spring is comprised of large, well-shaped leaf. The tea is as beautiful to look at as it is delicious to drink. The leaf is large, quite open, plump, and lofty. As the garden’s tea director says: “Hand-rolling is a laborious and time consuming task that requires patience, tender touch and a passion for creation from the person rolling the leaves to ensure that everything is perfect. This is why only women are selected for this delicate task”.